The principle objective of this is to analysis Customer Satisfaction on Delivery Channels of Dutch-Bangla Bank Limited. Other objectives of this reports are to analyze the different delivery channels which are using by Dutch-Bangla Bank in its banking services and identify the satisfaction of the client regarding these modern technology based services and to find out whether the modern technology based banking services has any positive effect on all walks of life. Finally this report make swot analysis Customer Satisfaction on Delivery Channels of Dutch-Bangla Bank Limited. Banks are those financial institutions that offer the widest range of financial services, especially credit, savings and payment services, and perform the widest range of financial functions of any business firm in the economy. This multiplicity of bank services and functions has led to banks being labeled “Financial Departmental Stores”. Presently banking is a very dynamic sector in our country. Its impact in our country economy is quite vast. Banking business is little bit different from other business. It mainly deals with organizations with money and credit activity. Banks are profit-oriented organization. A bank invests its fund in many ways to earn more and more profit and most of its income is derived from loans and advances. Risk free lending is the key factor to earn more profit as well as it will be an important catalyst for bringing about economic development in a country. Without adequate finance there can be no growth or maintenance of a stable economy. Bank lending is important for the economy. At the same time, a bank will, therefore, distribute its funds among various sectors in a manner as to derive sufficient incomes. In the modern banking system there are so delivery channels are using by the banks to give the better service to its clients like ATM, On-line banking service, Internet Banking services etc. In our country some banks are providing those services with the help of modern technology. 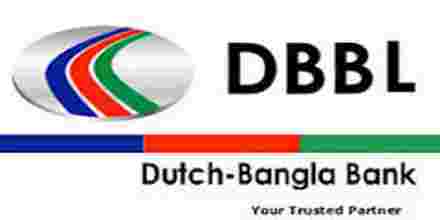 Dutch-Bangla Bank Limited (DBBL) is one of the leading banks in this aspect. No act is without purpose. Therefore, every report has its own objective. Likewise, this report is done according to its mission. The core objective is to analyze the different delivery channels which are using by Dutch-Bangla Bank Limited in its banking services and identify the satisfaction of the client regarding these modern technology based services. To find out whether the modern technology based banking services has any positive effect on all walks of life. In 1971 at the time of liberation Bangladesh has got six number of banking financial Institutions. Immediate after liberation the government has nationalized those banks for better economy. These banks had played a vital role to run the broken economy of the country immediate after liberation. After a certain period two banks has given in the private sector by the government. Probably in the year 1980-82 the government has given permission to open some banks in the private sector management. At that time there are some private commercial banks came in the private sector with private management like National Bank, Islami Bank Bangladesh Limited, etc. These are the first private sector commercial bank in Bangladesh. After getting permission of those banks are running with good reputation and has been playing positive role in the economy. In the year 1995-96 some more private sector banks has got permission to do their banking business in the economy these are the second generation private sector banks in Bangladesh, like Dhaka Bank Ltd, Dutch-Bangla Bank etc. In the year of 1996 to 2001 there are some more private section banks got the permission to open their branch for banking business, like Mercantile Bank, Jamuna Bank etc. These are the third generation private sector banks in Bangladesh. With the operation of different generation’s bank in Bangladesh, the country’s economy has got the different sprit in the different stages. As a result the country has got a new shape in the economy. Presently more that 50 (fifty) number of banks including specialized and foreign bank are running and has been playing a vital role in the economy of the country. All most all the private commercial banks are now using the new technology like ATM, On-line Banking etc. But the Foreign Banks are using this type of technology in Bangladesh since long with limited scale. Very limited people of the country were able enjoy this facilities. Presently most of the account holder of the banks is able to enjoy these services. Delivery Channels are using by the banks in Bangladesh since long. Basically the technology based banking is doing by the Foreign Bank working in Bangladesh for a long time. They are using ATM and On-line banking services from their starting operation in Bangladesh but in a very short volume. Local Banks are not using this technology for a long time. In the year 2003-2004 the local banks has been using this type of facility and giving the services to their client. In this case DBBL is of the pioneers. I can say that DBBL is the only Joint-Venture private commercial bank which is giving the service to its client fully automated technology through different kind of delivery channels like ATM, On-line Banking, SMS & Alert Banking etc. In the mean time there are some banks those who have absorbed the new technology and giving the service to their client with different delivery channels. Banking sector of Bangladesh is now very much developed and clients are getting the various service facilities by the banks. Research design provides a practical overview of the central issues involved in the design of social and economic research. Therefore, “it is a framework for the generation of evidence that is suited both to a certain set of criteria and to the research question in which the investigator is interested. The design for this research is in the form of a case study given that the focus is only one fully technology based bank in Bangladesh. This study utilises quantitative method as it deals with primary data, which is analysed using statistical analysis, particularly descriptive statistics since the presentations of data is use to reach a general conclusion of the study . Basically there are two types of statistical analysis; time series analysis and cross-sectional analysis. Development is a process of total change of people and society. The process will be one of movement on growth towards total structural change in areas of economic, social, cultural structure. This change will be a process of releasing restoring and transforming those structures. In a survey the methodology for collecting information is of great importance. The result of a survey depends on the actual information. This are collected according to proper sampling. A scientific and systematic methodology is mandatory for a research work to attain a valid conclusion and fulfill its objective. This study was conducted in various steps that constitute methodology all together. The following are the short description of the steps that will be followed throughout the study. It is very important but difficult to select an area in order to perform the study and make it universally acceptable. Every research has target population from where we collect data and by making use of these data, we analyze and making decision. Target population is the population where our desired data are available. Now the aim of this research is to estimate identify how much satisfy on the services through delivery channels of Dutch-Bangla Bank Limited of some selected area in Bangladesh and my selected area is old part of Dhaka City like, Moulvi Bazar, Chawk Bazar, Imamgonj, Chotto Katara, Mitford Road, etc. The study area, which is mentioned above, is the most whole sale business is of the country, so most of the people of the area depend on business and services. In this area there are School & Colleges are situated. So it is very much possible to collect data from the students also. According to the title of the study it is obvious that all the peoples of over all Bangladesh are our study population. But considering the time, resource constraints allotted for this survey 1 consider 50 (fifty) clients those who are enjoying the services through the different delivery channels of the Dutch-Bangla Bank Limited. Preparation of questionnaire is an essential part of any research work. Accurate and appropriate questionnaire is essential for survey work Questionnaire should be such that respondent could easily understand accurate answer depended on simple appropriate questionnaire. At first a draft questionnaire is prepared by reviewing literature after a discussion of all questions the draft questionnaire is finalized. Before completing the final questionnaire a pretest on ten clients were conducted. One questionnaire was used in the individual survey for this study i.e. only one person was interviewed by the same questionnaire; each questionnaire had some parts. The purpose of selecting the clients in the above mentioned area is for my personal convenience as well as time constraints. So the data is collected by Purposive sampling due to the above mentioned reasons. Questionnaire is the main part of research work and the data for the study were collected by the interview method. I will develop a questionnaire to collect data based on representing Objective-Data requirement-Source of data. The questionnaire is given in the appendix. Questionnaire is the most important part of any kind of research and it is the key to collect information and required data of respondents. It contains many questions pertaining to the field of inquire and provides space for answers. To make a good and sufficient questionnaire it requires skill, special technique as well as familiarity with the subject matter under study. For my study purpose I prepare a questionnaire used for the study of the customer satisfaction on the services through different delivery channels of DBBL. One questionnaire of this type will be used for each individual of the sample. I made a draft questionnaire at first, discussed several times with my colleagues and he made (he necessary corrections and then I made final questionnaire. With all the desirable characteristics of a questionnaire, firstly a draft questionnaire was prepared and to check the reliability and validity of this draft questionnaire it pre-­tested on some individuals of the study area. On the basis of pre-testing some questions were deleted, added or modified to best suit the objective of the study. Finally my supervisor made the questionnaire free from all types of error and the questionnaire becomes in to a complete one. The process of data collection depends on what kind of research will be conducted and the nature of the source of data. Generally, the following two methods are used to collect data. To recheck and scrutinize each questionnaire thoroughly whether the respondents have given any wrong information is called data edition. The security or editing of the complete questionnaire will help in amending and recording errors or eliminating data that are obviously erroneous and inconsistent .All kinds of mistakes have been corrected which were found in our questionnaire and all the answers have been observed carefully. The recent advancement in the computer and information technology makes the procedure of analyzing data easier. Now, a day no one thinks of analyze the data without a suitable computer program. To analyze the data quickly, easily and correctly, computer programming has no alternatives. DBBL is the first ever Bangladeshi-European joint venture Bank introduced in Bangladesh. DBBL Directors or their family members do not maintain any sort of bank account with DBBL, rather they opt other banks accounts. It may be their tactical strategy not to be partial with any banking transactions. Since its inception in 1995 but started its operation from 3rd June 1996, it is mentionable here that I have been working in DBBL since 1st June 1996. DBBL directors do not avail of any facility or even fee remuneration from the bank for attending meetings of the board, executive committee, and audit committee. The sponsoring shareholders of DBBL did not take any dividend for the initial 5 years in order to increase the capital base of the Bank; rather they may give dividend to their preferred stockholders in a continuous basis. Since its operation the DBBL has been taken any fees and commission against local remittance and giving daily basis interest on balance of Savings Bank Account which is unique in the banking sector in Bangladesh. DBBL believes in its uncompromising commitment to fulfill its customer needs, satisfaction & to become their first choice in banking. DBBL holds the slogan of ‘Your Trusted Partner’. Giving satisfactory customer service with truly online and any branch banking. Increase number branches to give the banking service to the rural people. Research unit to be introduced. Increase contribution to social services by DBBL foundation. Increase number of ATMs to give the any where and any time banking to the people of Bangladesh which are presently about 300 and by the end of the year it will be about 800. Like other commercial banks DBBL performs all traditional banking business including introduction of a wide range of caving and credit products, retail banking and ancillary service with the support of modern technology and professional management, but the DBBL emphasizes its function in increasing customer based by giving the on-line and any branch banking facility with the help of ATM, SMS banking, Alert Banking, Internet Banking etc. in every where in the country and in export and import trade handing and financing of export oriented industries will enhance wealth, quotes more employment opportunities helps formation of capital and reduces in balance in the balance of payment in the country. A customer can avail services, withdraw or deposit money, deposit loan installments to any branch of DBBL. International financial transaction can be carried out by the online SWIFT interface of the banking software. Customers can enjoy facilities of; loan installment payments from his or her savings or current account, fund transfer to other accounts. There are 300 ATMs are live. Bill settlement at any DBBL POS (Point of Sale) terminals installed at strategic locations. Presently about 600 (six hundred) POS are in live. Transfer of fund within the customer’s own accounts. Foreign currency interest rates inquiry. DBBL is currently using the locally developed ‘Branch Banking’ software in all branches. However efforts are taken by company management to select robust flexible banking software to introduce real time on-line banking operations. Robust means the system will be able to cope with any practical scenario, which may be totally unexpected, but still can control it and attain their desired performance. By December 2, 2004 all the urban branches had became truly on-line & the ATM’s are 24/7 in operation. Fortunately I was one of the members of the automation project implementation team. DBBL is now global & has tools to reach every corner of the planet through combination of swift, ATM, PoS terminals & Internet banking. Any customer of DBBL can enter into the ‘World of Truly On-Line Banking System’ and get his/her desired services from any corner of the global. And by the look of it we can say that the uses of online banking will increase day by day in an effective way. Presently DBBL is running with 64 (sixty four) branches and by the end of the year 2009 the number of branches will be at least 90 (ninety). Total number of employees is about 1200 (one thousand two hundred) including Managing Director, Additional Managing Director, 2 Deputy Managing Director’s. Total number of ATM is about 400 (four hundred) and by the end of the year 2008 it will become about 900 (nine hundred). I have collected some primary data using face to face interview method of the 50 numbers of clients of DBBL with different ages, different profession with the designed format attached as appendix about the services of different delivery channels of DBBL. I have analyzed the collected data and found that 80% of the businessman are satisfied on the On-line banking service of the bank, 90% of the students are satisfied with the ATM and Internet service of the bank and 75% of the Service holders also satisfied with the large number of ATM network of the bank and 95% of the house wives are satisfied with the PoS terminals of the bank. The reply about the position (ranking) among the peer banks, the DBBL is the first position among the banks. Especially the young account holders are very much satisfied on the use of the latest technology by the DBBL. The respondents appraise about the different kinds of social function done by the DBBL. After analysis the collected data I have found the satisfaction of the clients on the services of the delivery channels of DBBL that almost all of them are satisfied about the service provided by the bank specially the ATM services with the largest network in Bangladesh and some of them are not fully satisfied they think that service should be improved. If I have been able to collection of data from more and more clients of the bank then it may be found more correct and actual opinion about the research. They also given their opinion that all of the banks are working in Bangladesh should adopt the new technology to provide modern banking service to their client as a result the banking sector of the country will be healthy and accordingly the financial sector will be benefited. They opined that the rural people of the country should be taken under the new technology. After discussed the above information I can conclude that the banking sector as well economy of the country will be benefited if the banking sector of the country is improved by using latest technology. We know that education is the back bone of the nation in the sane way we can say that the banking is the back bone of the economy. Every bank of Bangladesh should improve their service with the help new and latest technology. Improved banking service is the claim of the client to the banks. Dutch-Bangla Bank is the bank which is trying to give the better and better services to its clients with the expansion its branches and ATM network. Through DBBL network some rural peoples of the country are getting the modern banking facility and they become interested to the banking activities. Some of the private & commercial banks working in Bangladesh are using the net work of DBBL It was the dream of the people of the country and now it is in real life.